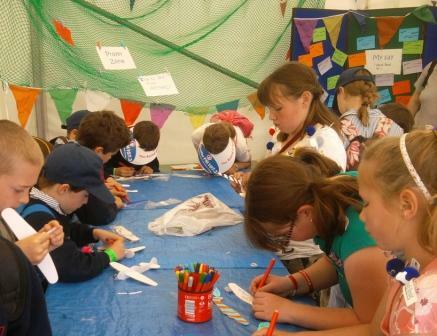 At this year's Devon Show, the Diocese of Exeter invited children to have their say about the church. They were invited to finish the sentence 'I think the church is..............because................'. Good because it is nice to think someone is watching over you and looking after you. Brilliant because it encourages people to get together and they don't have to pretend that they're not Christians. Okay but my friend says it gets boring sometimes because well, I do respect religion but to be honest, I get bored when learning about it and I’d probably rather go in town. Sorry. Boring because there is nothing to do. For religious people because they like to pray and reflect. Amazing, because it's fun and happy and peaceful and great. What might the children and young people that you know say about church - and what might you do about it? Take the risk of asking them and seeing church through their eyes.